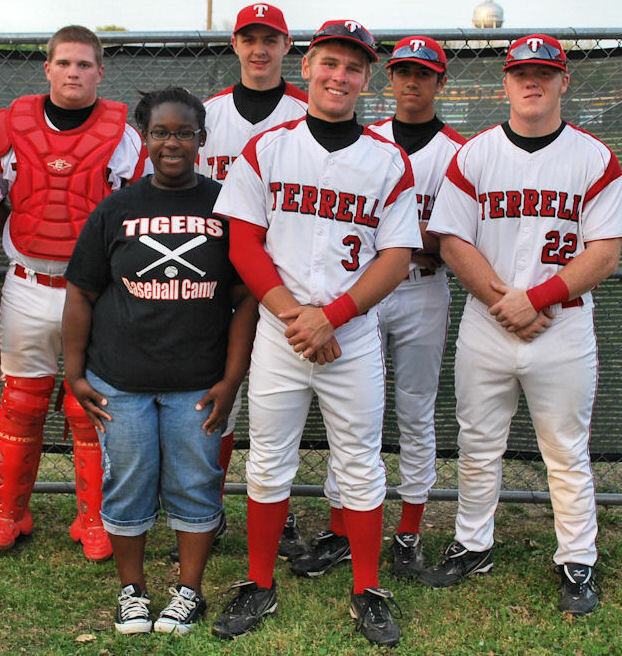 The 2011 Tiger baseball season comes to a close tonight at the ball field in Ben Gill Park. The Tigers will host the Ennis Lions in a Senior Night game, first pitch is 7PM. Come out early to honor the senior student-athletes for their hard work in the classroom and on the playing field during their time at THS. Honorees include seniors Billy Howard, Bryan Speer, Cale Wardlaw, Cody Weishaar, Dee Dee Robinson and Luis Muro. This year, inexperience on the varsity level and redistricting handcuffed the Tigers in their drive for a 3rd straight playoff appearance. They enter Friday's game with an 8-23 record. "Despite not having an ideal record, I really enjoyed my first year as a head coach. It was a learning process for everyone involved," reflected coach Gage Davis on his first season as the Tiger's head coach. Coach Davis also said "there are a lot more positive things that came out of the season that you wouldn't think of because of our overall record. We had a number of underclassmen get lots of valuable varsity experience. We were competitive in many of the games we played. We became better baseball players and now understand the game a lot more". Davis felt a lot of the kids didn't know what to expect, since they'd never played varsity baseball before. Now that the year is almost over they know what they have to work on between now and next year. To be competitive in district, they will need to improve in all facets of the game, hitting, pitching and fielding. A lefty on the mound would help, but that may be a few years off. Coach Davis's World Series pick? Texas over Philadelphia in seven games. Personally, I wouldn't mind the Rangers in the World Series, but I have St. Louis over the Rangers. January 27, 2012 - first day of practice for the Tiger's new season!